The “Drowned Earth” storyline wrapped up last week, and it’s time for another interlude. Guest writer James Tynion IV and artist Guillem March present a Joker story in JUSTICE LEAGUE #13. So it’s arguably one of the scariest, most dangerous interpretations of this character in recent memory. 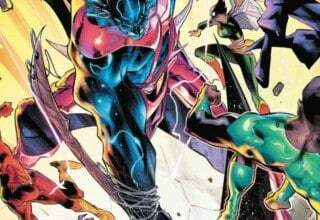 Warning, potential spoilers for JUSTICE LEAGUE #13 are below! 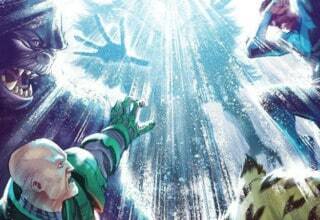 JUSTICE LEAGUE #13 focuses on the Joker and his involvement with the Legion of Doom. The issue starts with the Clown Prince of Crime planning another one of his capers when he’s interrupted by Lex Luthor. Having been to the future and seen the debauchery of the world millions of years from now, Lex feels that the Joker is a prime example of humanity’s potential. 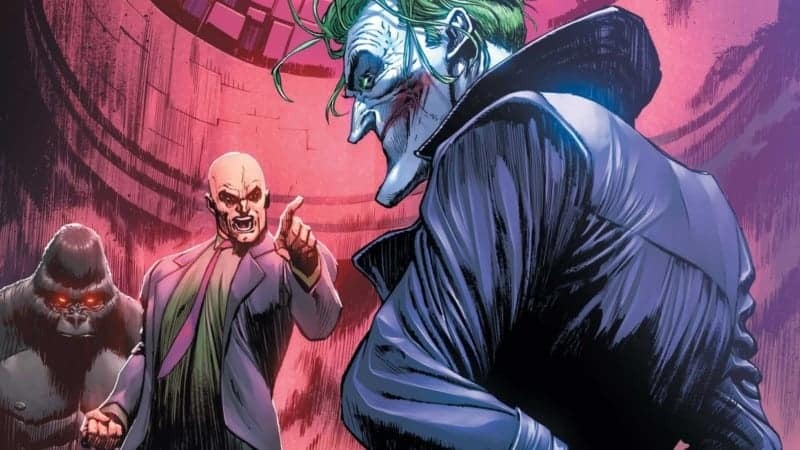 Luthor tries to convince the Joker to join him and unlock the powers of the multiverse. So Joker joins, on one condition: leave the Batman Who Laughs (from DARK NIGHTS: METAL) out of their plans. Luthor agrees. JUSTICE LEAGUE #13 page 1. 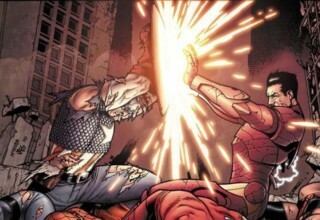 Image courtesy of DC Entertainment. Then we jump to the present, to Luthor talking to the Batman Who Laughs. The duo discusses the secrets of the Totality, with Lex and “Batman” agreeing to stay out of each other’s way. The other members of the Legion of Doom soon interrupt their leader. They’ve invited Riddler, Solomon Grundy, Mr. Freeze, and many others to join their ranks. The recruitment is interrupted by the Joker, who gases everyone and traps Lex. The Clown Prince ultimately decides against killing everyone and instead leaves the Legion of Doom, allowing them to fall prey to the Batman Who Laughs’s plans. There are multiple interpretations of the Joker in media, and a lot of them focus on his insanity. Very few of those interpretations also focus on the Joker’s intelligence. The one that does the most is probably THE DARK KNIGHT; Heath Ledger’s Joker had plans within plans and contingencies that befuddled the GCPD and Batman. Tynion’s Joker in JUSTICE LEAGUE #13 comes very close to Ledger’s. Indeed, Tynion does a great job of showing off the Joker’s mastery of chemistry and incredible tactical mind. There are numerous examples of Joker demonstrating his brilliance and even outsmarting Lex Luthor, one of the smartest men in the DC Universe. Lex shows off by telling Joker that Batman is on his way in the first scene. Joker actually corrects him by saying Batman will arrive sooner than Luthor estimated. 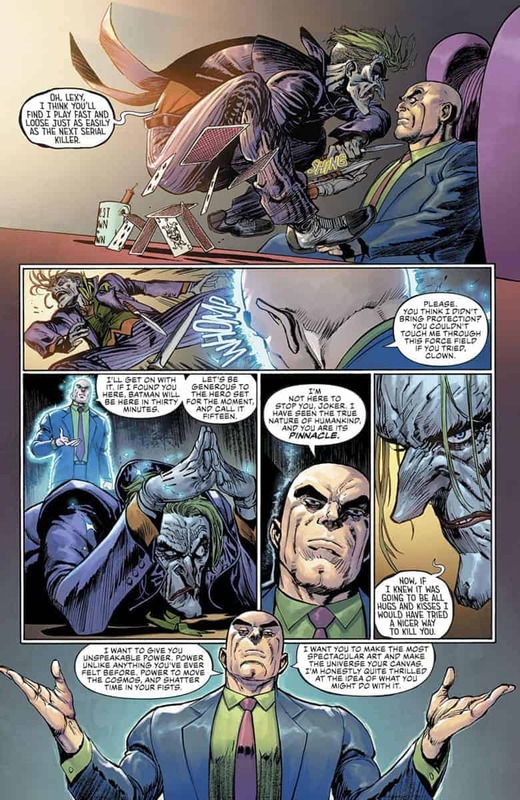 In the present, Joker is constantly tweaking with his Joker Venom formula and perfects it to the point of infecting every member of the Legion of Doom without harming Lex. He also figures out how to work past Lex’s force field and devises a particularly lethal weapon that would be a cruel joke on both Luthor and Superman. JUSTICE LEAGUE #13 page 3. 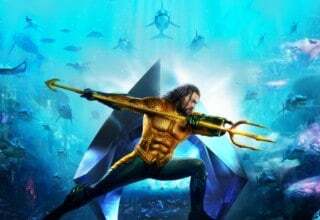 Image courtesy of DC Entertainment. The combination of intense intelligence and malice that the Joker exudes in this issue is chilling. In multiple instances, Joker proves to be the intellectual superior of Lex Luthor. The Clown Prince lulls Lex into a false sense of security with a display of seemingly nonsensical insanity and Luthor falls for it. 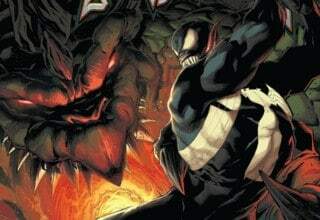 He also completely infects every villain in the area with his Venom, which includes the telepathic Gorilla Grodd, Lantern-wielder Sinestro, and multiple metahumans. This is one of the most terrifying and dangerous Jokers I have personally witnessed, and he might be my favorite. March took over art duties with JUSTICE LEAGUE #13, and he does a great job here. 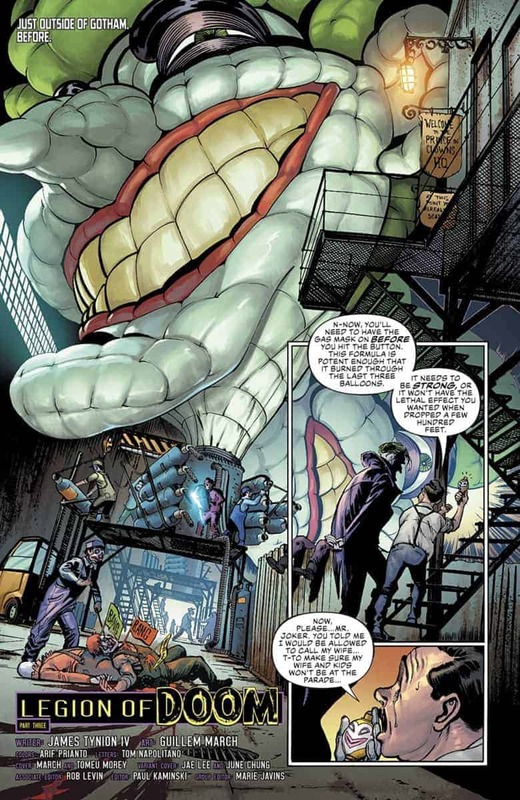 Mostly known for a more cheesecake style (see his CATWOMAN New 52 run), March captures the chaotic, insane nature of the Joker well with the art in this issue. While most of the characters rendered by March are anatomically correct, he definitely exaggerates Joker’s features and makes him look more deranged, more sinister. The book also features heavy inks, creating a darker, creepier mood. It’s not the cleanest ink work, but it isn’t meant to be, and it helps further accentuate the mood. What’s Next For the Joker? At the end of the issue, Joker walks away from the Legion of Doom. What’s next for the Clown Prince of Crime? 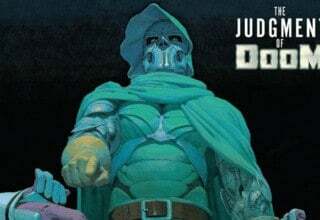 Is he going to confront the Batman Who Laughs again? Will the Justice League get to the Legion before they unlock the Totality? 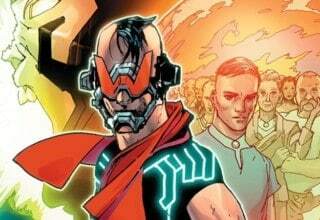 JUSTICE LEAGUE #13 was a tantalizing tease and, hopefully, Scott Snyder returns to build upon more. James Tynion IV and Guillem March deliver a chilling rendition of the Joker in JUSTICE LEAGUE #13. 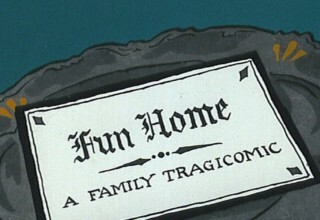 As the Legion of Doom recollects itself, Joker strikes out in a horrifying fashion.